Deidre's Discoveries: Mario Badescu Order! So if you follow my blog (thank you to those that do!) 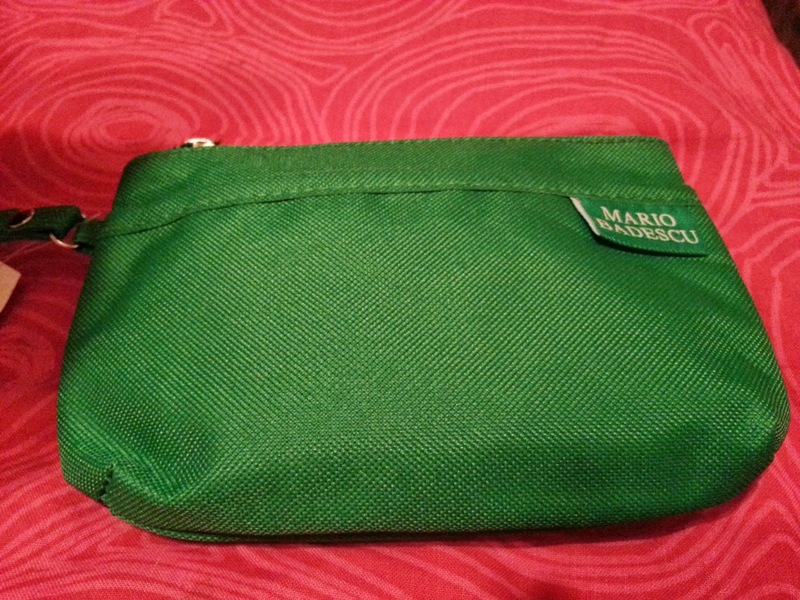 and read some posts, you would have seen in previous posts about my Mario Badescu samples review. 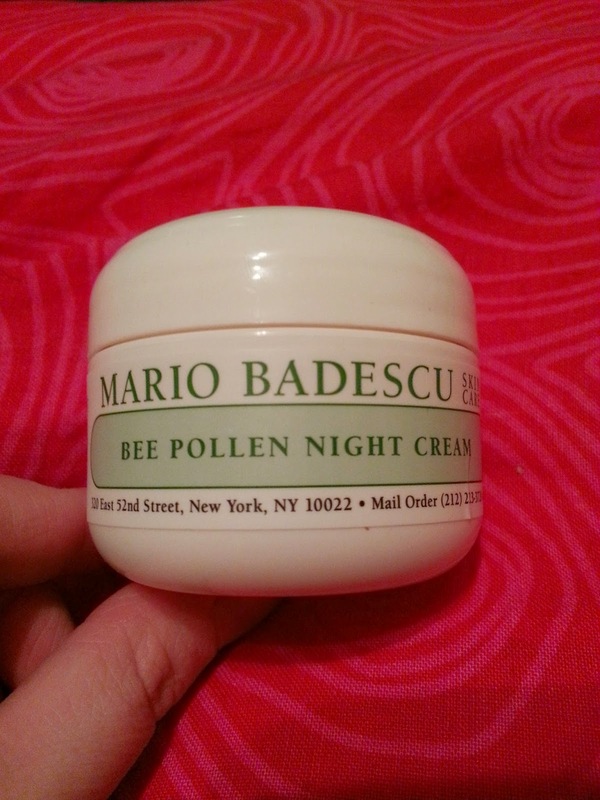 If you remember, I ended up really liking the Bee Pollen Night Cream. I ended up placing an order a few weeks ago for the night cream, and the drying lotion, because I have heard nothing but great things about it. The total came out to be a little more than I wanted to spend on two items, but since they both have been working for me, I can be happy that I didn't waste my money. I was surprised with how QUICKLY my products shipped. I believe I ordered on December 17th, and it made it to me by December 19th. And, I'm in Toronto. This ships from New Jersey. So, super fast shipping, which is awesome! As you can see, the formula is pretty thick. I like a thicker consistency for my moisturizer, I have dry skin and I feel the more "watery" formula's just don't hydrate my skin. It does have a slight flowery smell, so if you are sensitive to scents, this might not work for you. At first it didn't bother me, but I've found as time goes on, if I apply it too close to my eyes, they get watery. Other than that, it does what it needs to do. 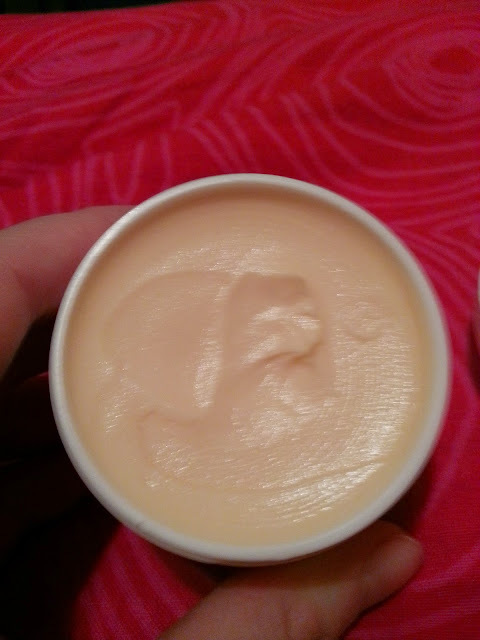 It moisturizes my skin, look wise and feeling wise. To be honest though, I was disappointed in the size. It's only 1oz, and sells for $20 USD. I shouldn't complain though because I've spent triple (in the past) on the shiseido I used to love which was only 1.7oz. 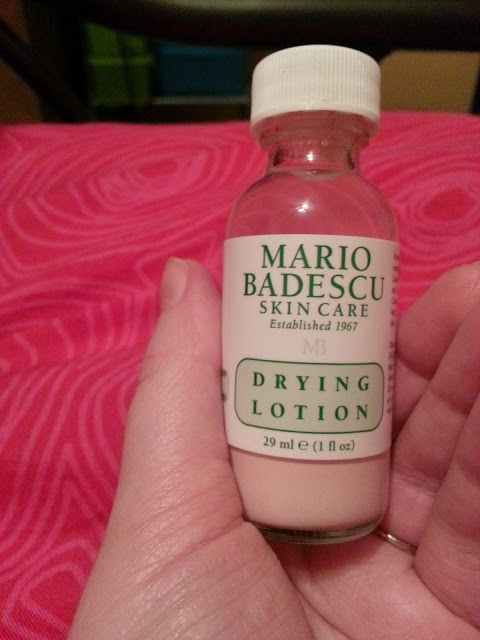 This is one of Mario Badescu's best sellers, and I have heard nothing but great things about this product. Now I don't usually suffer from acne, but I do get the occasional breakout that seems to last a few days. I guess because of my constant switching between facial products, I did get some acne on my chin, so this came at a great time. How to Use: Before bed (after cleansing, toning, and moisturizing) dip a cotton swab into the pink sediment at the bottom of the bottle. Apply a dab of this lotion directly on the whitehead. Do not rub in. Let it dry and rinse off in the morning. DO NOT shake the bottle; if contents get shaken during packing and delivery, place the bottle on a flat surface until the layers separate and the pink sediment rests on the bottom. I have been using this on my random pop-ups, and I have to say I love this. It really does work. I had a deep breakout that was under my skin, and this shrunk it before it even turned into a whitehead (ew! I know). It made it less red. It didn't clear it right away, but it made it disappear quicker than it would if I had just left it alone. Those little breakouts on my chin? GONE! Those disappeared even faster. This really works. Some people did complain of a sulphur smell, but I didn't get that at all. I also didn't find it too drying on my skin, which is already dry. This also is 1oz, and sells for $17 USD. Again, a little more on the pricey side, but a little goes a long way, and I can say this will last for awhile. I haven't tried the samples yet, but once I do, I can add a little review later on. It's a little wristlet/make up bag. Green is not really my colour, but I'm sure it will eventually get used. I love the wristlet on it. This would be good for if on vacation, needing something small enough to carry around the room key and a camera, and a little tube of sunscreen, and chapstick! Not only did they send the bag, there were also MORE SAMPLES! I didn't get to choose these samples, so I'm not sure if they are targeted for dry skin. But that's okay, I usually try everything at least once. I have to say I was very happy about this purchase, and I think it's great that they added on so many samples, and the surprise gift bag. If you're thinking of ordering from Mario Badescu, I'd say try it out! You may be surprised too!